When I was thinking about what a great dad means to me, some thoughts that came to my mind were: a strong leader, caring, unconditionally loving, protector and provider. I suppose how we define a great father depends largely upon our own experience. I am thankful to have had a father who did the best he knew to do in raising us. He never had a chance to know his own father who had passed away when he was around 2 years old. So he didn't have any real role model to learn from and follow. He did his best and for that I am thankful. Sigmund Freud said, "I cannot think of any need in childhood as strong as the need for a father's protection." I believe this to be true. There is something about a Godly father that makes us feel safe and secure. This is what we want and need in a world filled with violence and suffering. A great dad helps us to know that we are loved and protected. Great dads also love our moms. I really appreciate this quote: "The most important thing a father can do for his children is to love their mother," ~ Henry Ward Beecher. In doing so, children feel more secure and safe. A great father knows the importance of having a harmonious, loving relationship with his wife and the mother of his children. Parents getting along and loving each other is one of the healthiest things children can witness and experience. It makes their world and home a stable and happy place. It also models good and healthy relationships to them and prepares them for thier own intimate relationships and parenting. I believe I learned what a really great father is from my husband. He is an amazing father. He emcompasses everything I mentioned earlier in describing a great and Godly father: strong leader, caring, unconditionally loving, protector and provider as well as a loving husband. We may not all have a great dad, and many don't. However, we can appreciate the qualities of a Godly father in others. It doesn't have to be our own dad. I am so thankful for men who love their wives, who care for their children, who care deeply and love unconditionally, who are strong in their faith and walk in integrity, who love the Lord and are good leaders and role models, who walk in humility, gratitude, and wisdom. For this I am very thankful. 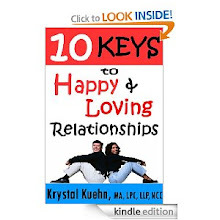 Krystal Kuehn, MA, LPC, LLP, NCC is a psychotherapist, author, teacher & musician. She is the cofounder of New Day Counseling, a marriage family counseling center, BeHappy4Life.com, an award-winning, self-help and inspirational site where you can find hundreds of free resources, insights & inspiration, and Baby-Poems.com, where you will find beautiful baby poems, quotes & videos that will touch your heart & increase your joy & gratitude for the children you love & enjoy! It is amazing how a simple compliment and words of appreciation have the power to encourage and brighten someone’s day. When I was a kid, I recall a magnet on the refrigerator. It said, “Give someone’s day a little lift, give a kind word as a gift.” Even a simple “thank you” or “you look nice today” can be encouraging and remind us that we are appreciated. The other day, I thanked one of my son’s teachers for the positive impact she was having on his learning. He enjoys her class and was so inspired by a movie she showed the students that he purchased the DVD. When I told her this, she was very surprised. She said she often wondered if her students were getting anything from her class. Learning that she is having an impact made her so happy. She smiled as she repeatedly thanked me for letting her know. I was so glad I did. Too often we have an opportunity to say something kind or encouraging, but we keep it to ourselves. If we only knew how much of a positive impact our compliments and words of appreciation can have, I am sure we would share them more often. Every time I get positive feedback or am told of how something I wrote or did helped someone, I am encouraged. It brightens my day. I don’t think we can ever feel too appreciated. I am so thankful that every day I have a chance to show kindness and appreciation to others. My words can encourage and motivate others. I am thankful that I can use them to really make a difference! 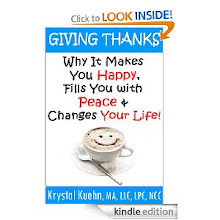 Krystal Kuehn, MA, LPC, LLP, NCC is a psychotherapist, author, teacher & musician. She is the cofounder of New Day Counseling, a family marriage counseling & child counseling center, BeHappy4Life.com, an award-winning, self-help and inspirational site where you can find hundreds of free resources, insights and inspiration, and the soon-to-be launched Baby-Poems.com, a celebration of children with baby poems, baby quotes, articles and more. Waking up refreshed and alert after a sound night of sleep is a great way to start a new day. We feel energized and ready to face new opportunities and challenges. It feels good to know we can be our best because we are more focused, calm and productive. I truly appreciate the gift of rejuvenating sleep. There was a time when I struggled with sleep problems. I wasn't getting enough of the quality sleep that affects every area of our lives (health, productivity, relationships, safety, and work). As a result, I could not be as productive as I wanted to be, and I was tired throughout the day. For years I tried everything I could think of to get better sleep. I tried many psychological techniques as well as any other tips that sounded like they might help. They did help to a point, but there was still an underlying problem. It wasn’t until I learned that I had a magnesium and vitamin D deficiency, that the sleep problem was resolved. Supplementation was what I needed and it has worked for me ever since. I am grateful for this insight. I am also grateful for the many tips I have learned on my quest to getting better sleep. The one I find to be most helpful is to relax the body and mind by slowing down physically and mentally. Deep breathing works well for the body. For the mind, I have to stop working mentally. If necessary, I write down what I want to remember for later and let go for the time being. 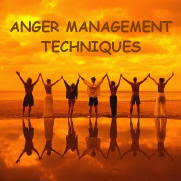 The goal is to have a peaceful state of mind, free of worries, cares or unresolved anger. 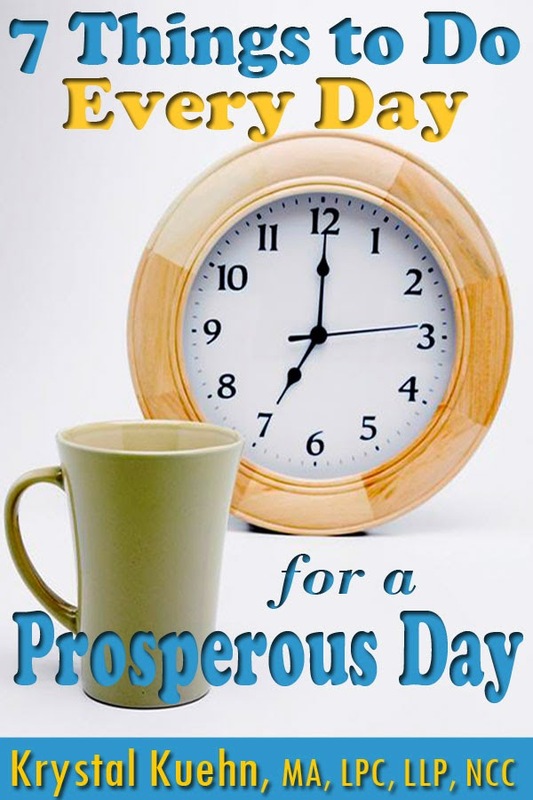 Another tip that I find extremely helpful is to think about at least 3 reasons to be thankful for this day. It focuses my mind on what is good and it reminds me that I am blessed in many ways that are so easy to overlook or simply take for granted. I value good physical and mental health. And I appreciate the amazing ways the body and mind work together. Restful sleep isn't just a necessity. It is good for our overall health and well-being. I am so thankful for the refreshing that comes from a great night of sleep that prepares me to enjoy and appreciate a new day! 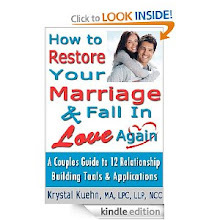 Krystal Kuehn, MA, LPC, LLP, NCC is a psychotherapist, author, teacher & musician. 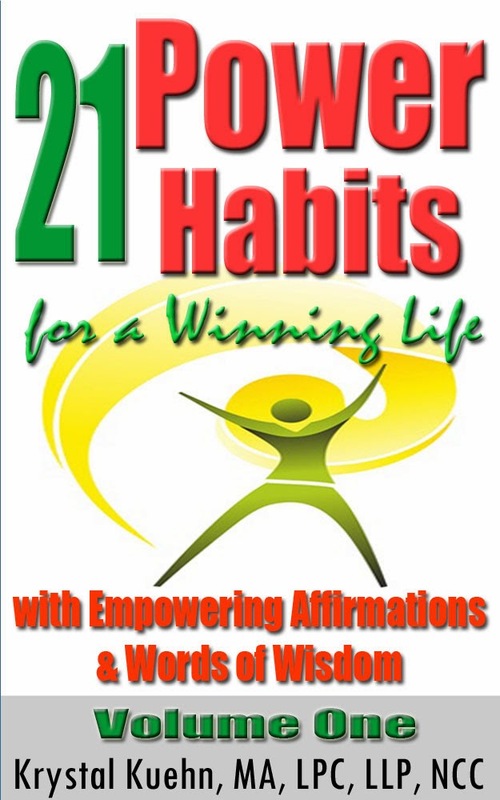 She is the cofounder of New Day Counseling, a family marriage counseling & child counseling center and BeHappy4Life.com, an award-winning, self-help and inspirational site where you can find hundreds of free resources, insights inspiration.